Industrial-grade engines are not cheap. Whether you’re searching for a new marine engine or you need a backup power generator, you’re looking at a considerable investment. One way you can save a bit of money is by buying used. There are some rules you should follow when buying used to avoid getting burned, but overall it’s a great way to get powerful engines at a fraction of the cost. When looking for a used engine, it’s important to find one that can stand the test of time. After all, all that money you save is wasted if you have to replace the engine a few weeks later. One engine that has stood the test of time is the CAT 3408. While the CAT 3408 is no longer in production, it is still in high demand. Here’s why. CAT engines have a history of excellent performance and reliability, and the 3408 is no exception. The 3408 is a V8 variant of the popular 3406 engine. It was first introduced in the 1970s and discontinued around 1985. Although considered pricey at the time (and a bit on the heavy side) it soon gained popularity, especially as a marine engine. You can find countless listings for the CAT 3408 to this day (most of them marked sold) because of its many strengths. The CAT 3408 is a diesel internal combustion engine that can provide quite a bit of power. This 8-cylinder engine can achieve anywhere from 440 to 520 horsepower and generate up to 266 kW of electrical power. For truckers, this power may not have been enough to offset the added weight of the engine, but for many other applications, this performance was more than enough. These engines wouldn’t be so popular today if they weren’t built to last. In fact, they probably wouldn’t even be around today. Thankfully, these engines have a life expectancy of 16,000 hours (nearly two years) and OEM parts are still available for 3408 marine engines thanks to Caterpillar’s ongoing commitment to their customers. When buying a used engine you typically get much greater value in terms of performance per dollar. This is undoubtedly true of the CAT 3408 diesel engine, which has a life expectancy of up to 16,000 operating hours. This engine can keep going and going while maintaining its efficiency and power, and that makes it an excellent choice for companies looking to save money and buy used without sacrificing performance. The 3408 still experiences significant demand as a marine engine so let’s conclude by talking about that in more detail. The 3408 models are great engines for medium-sized vessels like shrimp boats, tug boats, and ferries. They provide more than enough power for these applications and with proper maintenance and care have been known to last years. Also, Caterpillar has recognized the popularity of the 3408 for marine engine applications and continues to offer engine overhaul kits. It’s difficult to find a better deal than that when buying used. Bottom line: the CAT 3408 is aging gracefully. It’s still used in a variety of industries because of its power, longevity, and the quality CAT engineering on which many companies depend. The biggest issue you’ll run into with the CAT 3408 is finding a listing that hasn’t already sold. For more help finding the appropriate engine for the job, please contact us at Depco Power Systems. 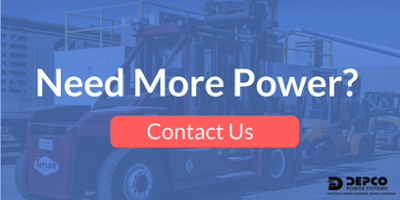 We can help assess your power needs and job requirements, both in the short-term and the long-term, to find the right engine for the job.